Yoda wisdom gives us insight into being proactive vs. reactive in life. Straight from the mouth of a five hundred year old green Zen master, the wisdom of Yoda is brought to life through the selective sayings and Yoda quotes below. I have long been a fan of the famous Star Wars Trilogy - my favorite character in the series being the Jedi Master, Yoda. Not everyone knows this, but the character of Yoda was modeled directly upon that of the old Zen Masters of ancient Japan. Every time Yoda would speak you could count on it being a profound piece of Zen wisdom with both obvious and hidden meanings. These pearls of wisdom would often leave a lasting impression on me. Long after the movie was over, the wise words would continue to echo in the caverns of my body and mind. To my amazement, and delight, I would find the wisdom of Yoda applicable to all sorts of different situations in daily life. This was especially true regarding wisdom that pointed me to how to live more proactively. 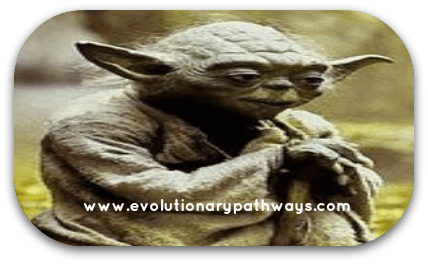 I found much of Yoda's wisdom dealt with the mind, and with how to train ourselves and work with the mind, to become more proactive vs. reactive in life. Following below are some of the most memorable and powerful Yoda quotes that can help you lead life more proactively. As you read through, imagine how you may apply these concepts immediately to better your life. A Zen master was serving tea to himself and his student, when the apprentice asked him a question: "Master, what shall I do when I try to meditate and don't succeed?" The master remained unmoved and continued pouring the tea. He suddenly turned to the student and told him to try to lift the cup of tea he had just poured. The student looked a bit puzzled but proceeded to do as the Zen master asked and lifted the cup of tea. The Zen master looked at him and admonished again, "I want you to try to lift the cup of tea." The Zen student, looking even more puzzled than he was before, proceeded to pick-up the cup of tea once again. The meditation master said, "I asked you to try to lift that cup of tea. So why do you lift it?" The meditation student was baffled... "I either lift the cup or I don't lift the cup. How can I try to lift the cup? Such an action doesn't exist. It would be impossible!" "Exactly!" exclaimed the Zen master. The Zen master was pointing out that just as there is no try when it comes to lifting a cup of tea there is no try when it comes to meditation or any other action we say we want. We either do it, or we don’t. The reality of it, is that there is no in-between. Yet, the mind proceeds to deal with that twilight zone in-between calling it 'trying'. 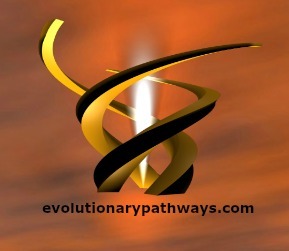 An ephemeral 'reality' has been introduced by the mind. Are you trying to change your life for the better; or are you actually doing it? Are you picking up the cup (however clumsily or unskillfully) or are you trying to pick up the cup? How committed are you to the life changes you say you want to make? Sure, the mind will play its tricks. Don't allow it to bring regret into the mix. "Fear is the path to the Dark Side. Fear leads to anger, anger leads to hate; hate leads to suffering. I sense much fear in you." This insightful nugget of Yoda wisdom identifies the chain reaction that begins with fear and ends with suffering. Understanding this threaded connection between fear and suffering is profound, as it allows us to deal proactively with the suffering in our lives. First, it's important to understand that pain and suffering aren't synonymous. Pain is inevitable in life; suffering is optional. We do have a large measure of control over the amount of suffering we experience in life. Invariably, identifying your true fear will have uncovered the root of your suffering. Your courage now comes into play. Courage alleviates suffering since it helps us deal with our underlying fears. Without our courage - suffering continues. What an empowering and useful bit of Yoda wisdom to learn from! Instead of dealing with suffering by 'sucking it up', or simply 'trying' to deny it even exists (we talked about ‘trying’ already), we can use suffering as a means to awaken our awareness. Instead of reacting to our suffering, we can allow it to help us uncover a latent, subconscious fear. Suffering has thereby just been given purpose in our lives. This bit of Yoda wisdom follows perfectly in the footsteps of the Yoda quote above. Once you've identified your fear then you're in a powerful position to rid yourself of it. So long as a fear remains hidden from conscious awareness - so long as it remains unnamed - it can continue controlling our life from behind the scenes. How do we go about identifying our fears? The previous wisdom quote above pointed us in the right direction: let suffering be your guide. Who would have thought that suffering could be put to such beneficial use! Without it we may never uncover our fears and would continue to live perpetually under their dominion. Name your fear and banish it you can. No longer will it be able to hide behind the veil of suffering it has created. "No! No different. Only different in your mind. You must unlearn what you have learned." The above is what Yoda says to his apprentice, Luke Skywalker, after the latter fails to lift a sunken spaceship out of the swamp using the power of his mind alone. Young Skywalker complains that the ship is simply too big for him to lift - with what he perceives are his relatively 'feeble' mind powers. Although he had already learned how to use his mind to successfully lift rocks and various other objects off the ground - in clear and stark defiance of the laws of gravity - he doubts his ability when it comes to the ship. The ship is much larger - and therefore a different story entirely - or at least that’s what his mind is telling him. Young Skywalker failed to grasp the principle behind what he was doing - thereby succumbing to details. Once a principle is understood, and mastered, it can readily be applied to changing circumstances and scenarios. In this case the principle was defying gravity. This doesn't stop the mind from fixating on circumstances, however. We don't always see how a principle applies to a situation that is very different from the situation where we first encountered the principle in operation. We need to unlearn what we have learned in order to see its applicability. Whether it's in Martial Arts, Zen, business or in any other field of endeavor - learning the principles can take us very far indeed. Applying principles to changing situations and circumstances is the ultimate leverage. Principles save us from having to reinvent the wheel time and again. A principle of self-defense, for example, may be applied to the fields of business, meditation or life change if we can get past the idea that these are somehow too different for the principle to apply. In martial arts, for example, we may learn the principle of redirecting a superior force, instead of colliding with it head-on. This principle may then be applied by a small start-up company, choosing not to compete with a large multi-national - directly where they're strong. While meditating we can apply this principle to stop imposing our will and help us to simply let go. And applying this principle to inspired life change, we may experiment with surrender vs. willpower to finally get the results we want. Focusing on the principle, rather than the circumstance allows us to be proactive even in situations we may have never encountered before. Instead of reacting, we can be proactive instead. "Death is a natural part of life. Rejoice for those around you who transform into the Force. Mourn them do not. Miss them do not. Attachment leads to jealousy. The shadow of greed that is. Train yourself to let go of everything you fear to lose." This bit of Yoda wisdom brings us full circle. Once again we are given a reactive chain of causation. Attachment leads to jealousy, which in turn, is the shadow of greed. If we take a close look at our experience we will be able to see the truth of this. To train ourselves to let go of everything we fear losing isn't as insensitive or cold-hearted as it superficially sounds. We have seen how fear leads to suffering by taking us through anger and hatred. Training ourselves to let go of everything we fear to lose isn’t a recommendation to detach from everyone and everything we hold dear. To the contrary, it means bringing ourselves closer to the things we love by not allowing our fears to get in the way.